This is what I'm up to today. Finishing this bag. 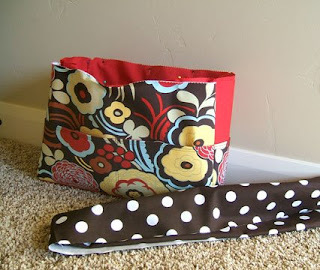 I started it with the idea of a diaper bag, but it could also be a tote or handbag. Idn't it cute? That is super cute! Where do you come up with this stuff?